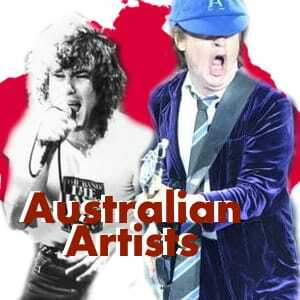 From INXS to Men at Work, Mondo Rock to Kylie Minogue, Air Supply to Little River Band, Billy Thorpe to AC/DC, Cold Chisel to Farnsey and everything in between - Australian music has its own stamp and authenticity! Add Australian Artists MIDI Files now and put some great AUSSIE spirit into your performance! Click 'Search By Genre' tab on the search bar to these and other popular titles. Members get Free MIDI, credits and voucher discounts. Click the 'Be a Member' at the top of the page.